Of late, I’ve added a few strings to the bow of my Blog and Instragram. Along with showcasing Affordable Fashion outfits, I’ve uploaded some of my music videos / living room acoustic sessions and given an insight into my recent triathlon training. Today I add rather a fun string. Cars. I’ve driven up to the Lake District to trial it. Winding country lanes and open hill-swooping roads, this car was built for it. What a dream she is to drive. 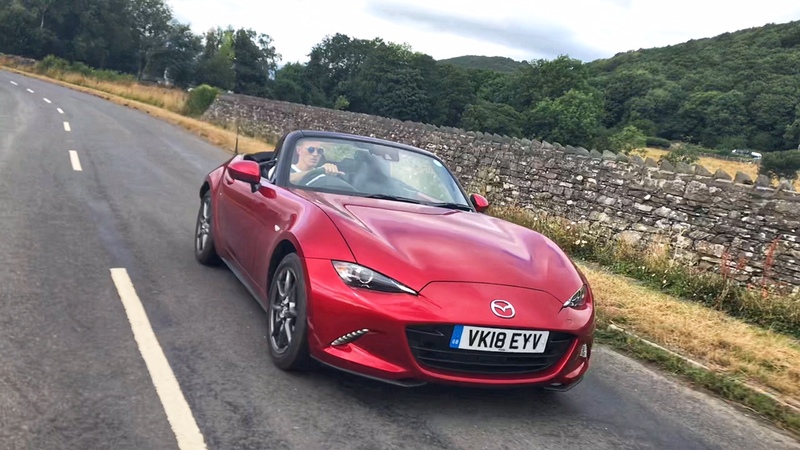 I had the older Mk3 version of the MX-5 and she was my baby*, so I already had experience driving the best-selling roadster and the fun that can be had. 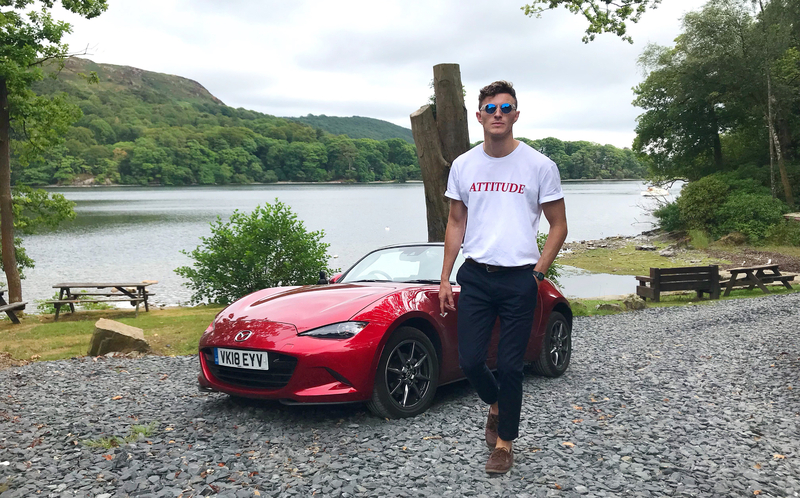 Still carrying their perfect 50/50 weight distribution, creating that smooth and connected experience the MX-5 is so renowned for, the 2018 model is full of thrills. Clutch down. Start button engaged. Let her RAWWWR! 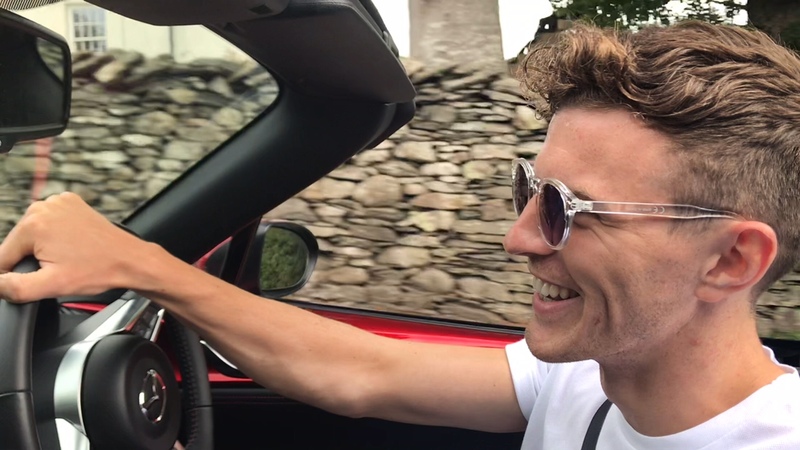 The from the moment I started her, to the moment I turned back in the drive and pulled up the manual roof (I stopped at a set of traffic lights one day, the sun was out and I genuinely had the roof down and securely fixed within 2 seconds – that easy! ), I had a smile from ear to ear. Gone away are the smooth curves of the exterior. 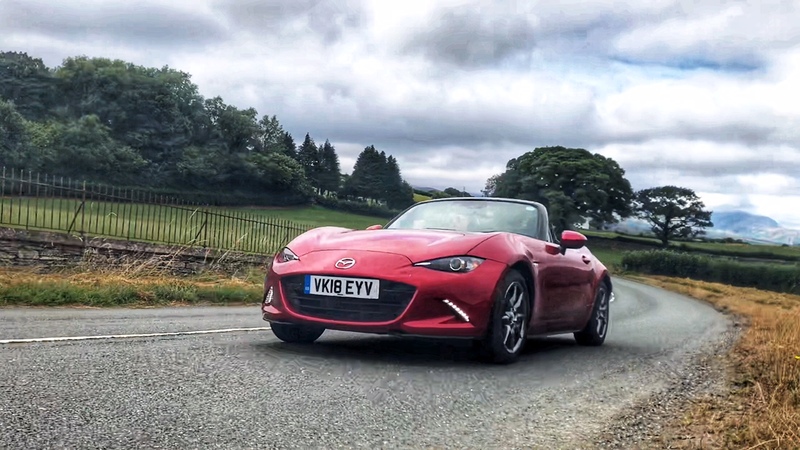 Sharp edges, shark-fin-like headlights and head-turning deep candy red paint job, the new look MX-5 brings a sexier, meaner edge to the roadster. The finish on the interior is a step up from my older model too. Leather seats and a Bose sound system. And a on-board entertainment, communication and sat NAV system connects to my phone instantly, making an incoming phone call from Mum easier to reject and the volume increased of “Live Forever” by Oasis… to full volume. Yes, I felt like a rock star. Maybe I missed my calling. 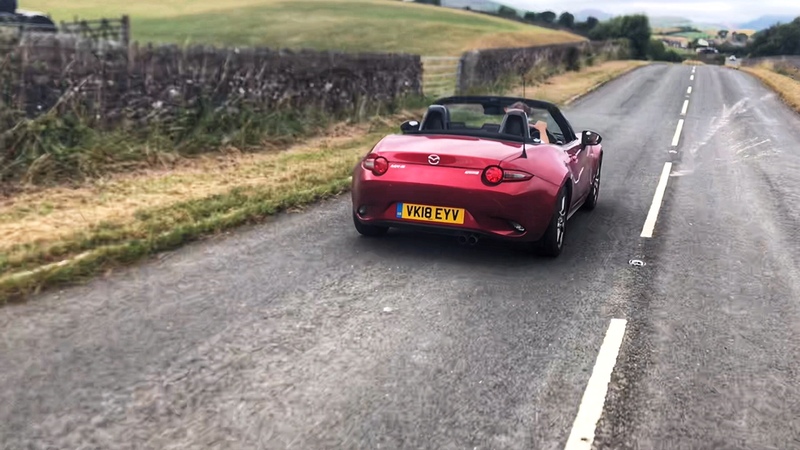 Before I bought my first Mazda MX-5, I used to read forums that was that said something to the sound of “I’m always left with a constant smile when I drive this car”. I, naively, dismissed it, thinking these were overly-keen car enthusiasts… how wrong I was. Here I am a few years later saying just that! The Mazda MX-5 has won me over, yet again. Watch this space, it will be my next car. **Unfortunately, whilst driving back to my parents from my apartment in Manchester one night, a young man, heavily stoned, was driving on the wrong side of the road toward me and wrote it off..!! !